JUNE 20, 2016 — We all go through spells where we feel blue, even downright dejected. I know lately I’ve been waking up in the morning and feeling a sense of dread about facing a new day. Those fears and anxieties that lie just below the surface tend to be magnified in the wee hours of the morning before the alarm goes off. A quick cup of coffee, some time in prayer with Jenny on my lap purring, and those feelings begin to dissipate. Lately however, I’ve had a harder time getting them to leave me. Most days I think of those I have known who have experienced that kind of despair. I think too of Jesus in the garden of Gethsemane, overcome by the knowledge of the suffering he would experience. But some days, I think of me. I pride myself with knowing why I feel the way I do—I am introspective by nature, and to a fault. But lately I am not clear as to why I feel the way I do. Perhaps it’s the cycle of days seeming to go by faster and faster. It could be those small aches and pains of age reminding me that youth is long over. Maybe I need to stop paying attention to the news because the world no longer makes sense. Maybe I need to stop being so introspective! I prayed to God today during that psalm and I prayed again during the one o’clock hour when I lift up petitions of healing for family and friends. I rarely include myself but today I did. I asked for grace to come up out of myself, to be lifted up and out. And my prayer was answered. I am reading an antique book printed in 1937 about an historical figure, Amos Bronson Alcott. The book is large, its pages browning, the paper soft to the touch. The spine is such that that the book stays open by itself. The cover is exquisite, vintage 1930s art in earth tones. The biographer is totally immersed in his subject, revealing to me the mind and the heart of one of recent histories’ biggest conundrums. Alcott was a man of extremes—at once brilliant, original, insightful while at the same time blind to the physical needs of his family, unable, unwilling at times to work to support them. He drew amazing creativity out of his daughters but inflicted great scars through his demands for perfection and virtue, causing one to become a workaholic to support the family while constantly striving to prove her virtue (Louisa) while another found that virtue perfectly in death rather than life (Lizzie). With all his fatal flaws, Amos Bronson Alcott is a fascinating figure and Odell Shepherd, the biographer, writes about the man with incredible beauty and insight. Some call it “old-fashioned” but I say that Shepherd, because he wrote the book only forty-nine years after Alcott’s death, was closer to him that current biographers could ever hope to be. Perhaps the writing style is “dated;” the fact that there are no footnotes proves to be frustrating for scholars. But there is general agreement that the work is authentic. And that’s why it speaks to me. And today during my lunch break as I read, scribbling notes in the margins, I found myself being lifted out of my dejection by the sheer beauty of the words and the tactile experience of holding that magnificent old book. God answered my prayer. Through the experience of reading, I could be lifted out of the prison of myself, my eyes no longer dimmed with grief, my spirit no longer overcome with waves. Because I could get lost in the life of another through the exquisite writing of his biographer, I could receive a gift of grace. We all have tools we use to help ourselves feel better when we are blue. Some like to listen to music, go for a walk, take a swim or see friends. These are all gifts of grace from God who knows our every need. In my case, rather late in life, I was given the grace to lose myself in a book and in the lives of fascinating historical figures. NOTE: My book is on sale at 50% off through next Wednesday, April 20th. Great time to give it a try–click here. I came very late to reading. And I was led there by someone with whom I have been fascinated all my life: Louisa May Alcott. I discovered Louisa through a children’s biography given to me by my aunt after we had visited Orchard House, a museum home dedicated to the Alcott family, and the home where Louisa wrote her classic, Little Women. our hearts to the core. River of Grace is currently available for pre-sale on Amazon. The book will be released on October 30, 2015. I am pleased to announce that my very first book, River of Grace: Creative Passages Through Difficult Times will be released this Fall, published by Ave Maria Press! River of Grace is part spiritual memoir and part life application, offering true and hopeful stories of growth and transformation after hard losses. Just about all of us can cite a time in our lives whether now or in the past, where we have lost something precious to us. Perhaps it’s been the death of a parent or a child. Or, you yourself are suffering through a long illness. It could be a long stretch of unemployment causing financial difficulties, even the loss of your home. Maybe you’ve lost a best friend due to a falling out. Perhaps you’ve recently put down a beloved pet. These are all serious losses that tear at us, causing grief or anxiety or anger. Where do we find the strength to pick up the pieces and carry on? Could a serious loss signal a new life, even a transformed life? This is what I write about in River of Grace, beginning with the loss of my parents and then my singing voice. Through the means of a kayak and my love for Louisa May Alcott, God led me on an amazing, joy-filled and sometimes crazy adventure within his river of grace, leading up to this book and beyond. River of Grace is not just book of stories. I provide practical tools so that you too can go on your amazing adventure. These “Flow Lessons” appear throughout the book and will also be available on this website. In the weeks to come, I will share quotes and stories from River of Grace. Please spread the word to everyone you know who has gone through a season of loss or is just looking to jump start their spiritual and creative lives. River of Grace will be available as a print book, e-book and audio book (through Audible.com and iTunes). Just this past week I started the process of recording the book. My thanks to producer extraordinaire Ron Zabrocki for his expertise (he produced several of my music CDs). Please share this post on Facebook, on Twitter, on Pinterest, through email with anyone whom you think would benefit from reading my book. Feel free to share the book cover. Your recommendation is the best way to get the word out. I will let you know just as soon as it is available when you can order River of Grace. Signing up for my email list is the best way to be the first to know. I can’t wait to share this book with you! 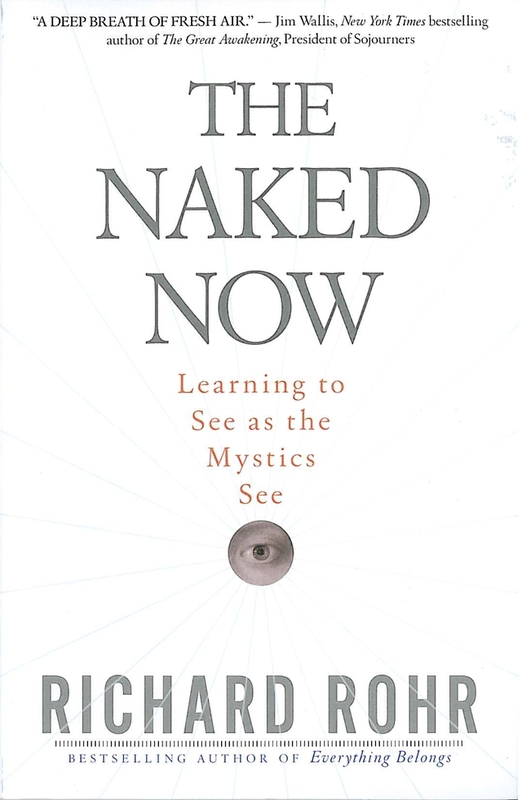 Today I started reading a book entitled The Naked Now by Richard Rohr. I originally planned on reading it because a group I belong to, the Commission of Women of the Diocese of Worcester, chose this book as the one they wished to study this year. A dear friend of mine, a deacon in the Catholic Church, had also highly recommended it. 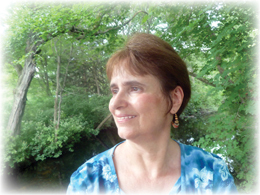 Rohr aims to teach the reader to see as the mystics see. I have long resisted the notion of being a mystic though this same friend insisted that I be open to the idea. The pragmatist in me, the one who is unimpressed with splashy theatrics and celebrity, would have nothing to do with it. I saw no connection between my earthly life and supposed “heavenly visions.” I mistakenly connected mysticism with crying statues; I wanted nothing to do with it. And my inner self, also exercised daily with prayer and reflection, objected too. The Naked Now is now affirming something I’ve been experiencing ever since I started all this exercising: this newfound ability to “read between the lines,” and it is growing exponentially. Rohr spells out three ways to view the world through a simple example: how three people view a sunset. One simply enjoys the beauty, nothing more. A second enjoys the beauty and understands the science behind a sunset, giving him extra insight. The third not only appreciates the beauty and perhaps the science, but also “tastes” the experience. His vision enables him to transcend the physical experience to something mystical. Rohr calls this seeing with the “third eye.” And I knew exactly what he meant. I experienced that kind of vision all summer long in my lunchtime walks through the woods, past streams and alongside the lake at Wellesley College. 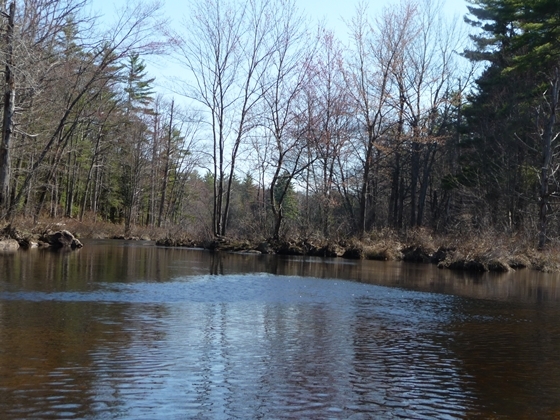 Some of these experiences were quite intense, most especially my kayak trip on Lake Waban. And I had noticed this vision even before the summer. Reading the Bible had always been a difficult and dry experience. I simply could not understand what it was trying to tell me. However, last year I began to experience a strange sensation while reading: my mind and my heart would be literally flooded with ideas and insights. It was thrilling and a little scary. It was like God was chattering at me! I allowed myself to be carried in the flow of God’s will, just like my kayak floats down river. I went with the flow and without realizing it, accepted an invitation from God to go deeper with my faith. I didn’t really know what was happening but had a sense that it was better to just “go with it” rather than to question. And now, I have a book that will explain what’s been happening. And the best part is, you can experience this too. Everyone is called to be a mystic. It’s what Jesus intended. It was not just for those saints we see commemorated in statues and prayer cards. Jesus means for each of us to experience this “third eye,” a direct result of a close, intimate relationship with Him. The closer we get, the better we see. We can Be As One. You can find The Naked Now on Amazon. Treat yourself, and then tell me what you think! 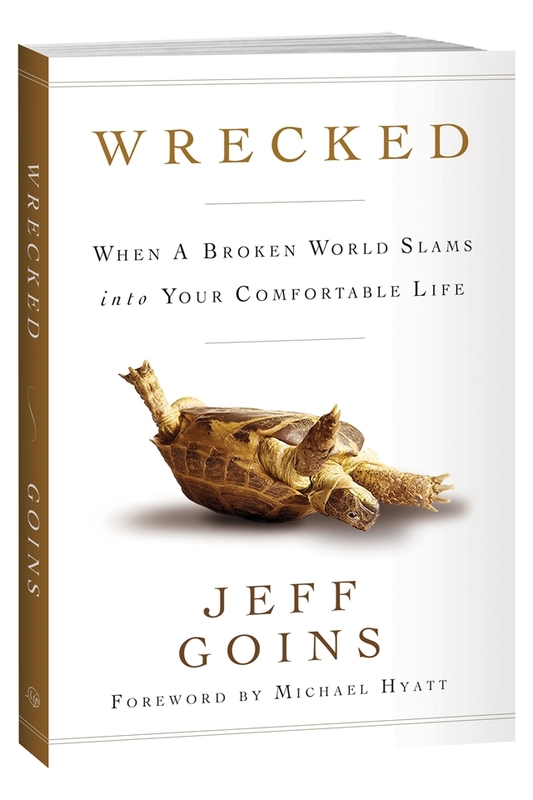 Recently I reviewed a wonderful book known as Wrecked: When a Broken World Slams into Your Comfortable Life. 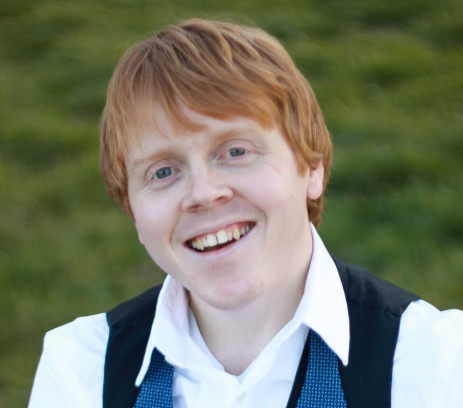 Jeff Goins, the author, made time out of his busy schedule to sit down for a quick interview. SB: Who is Jeff Goins? What makes you tick? JG: I’m a writer — a guy full of ideas and a penchant for making guacamole. I’m driven by the desire to make a difference in this world, to “leave a dent” as Steve Jobs once said. I want what I do to matter, to last well beyond the years of my life. SB: What led you to write Wrecked? As a writer, how did you make the transition from blogger/articles to a book? JG:I wrote it because it needed to be written. I couldn’t find something that addressed this issue I wanted to cover. Lots of books talk about why we need to be more compassionate or become better servants, but what about the byproduct of service? What about the burden of bearing other people’s pain? What do we do with that? Wrecked attempts to answer those questions. SB: Your book reflects the two Great Commandments of Jesus – to love God and to love neighbor. How important is it to you to have an ongoing, intimate relationship with God and how do you think it helps you to love your neighbor? JG: Everything requires a foundation. Compassion is no different. Our pursuit of justice or compassion or poverty relief can easily turn into an unmanageable burden, an exercise in codependency. There are so many needs in this world that it’s easy to get addicted to being needed. The best way to keep this in check for me is to actively practice my faith, which is about laying down my life — not only for others, but also (and foremost) for God. SB:What is wrecking you now? Fatherhood. It is the most powerful tool in dying to myself I’ve ever experienced. Not easy, but good (I think). Ask me again in a few years, though. Be sure and pick up your copy of Wrecked: When a Broken World Slams into Your Comfortable Life. Goins knows how to give new meaning to the pain and suffering in our lives.